WHERE IS STEWKLEY IN THE NEIGHBOURHOOD PLAN PROCESS? 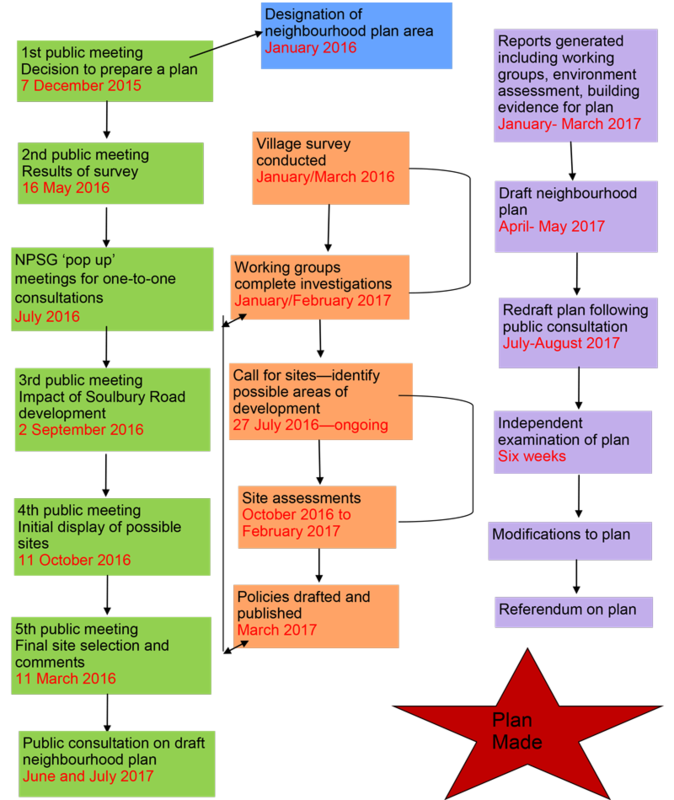 The target for the Stewkley neighbourhood plan being adopted is December 2017. A more detailed timetable for the year ahead can be found on the second page of this newsletter. This leaves a current shortfall of 42. A review of potential sites has been completed following observations from landowners, Stewkley Parish Council, Aylesbury Vale District Council and an independent assessor. A public exhibition is being held at St Michael’s School on Saturday March 11 between 10am and 5pm where details of each of the 29 sites will be displayed. Villagers are invited to declare their preference on locations. This is your opportunity to have your say. Aylesbury Vale District Council approved outline planning permission on February 3 for development of up to 67 new homes on the Soulbury Road site. The parish council and neighbourhood plan team will be working with the Developers to hopefully provide the style and type of homes required in the area. In accordance with the terms of reference for the neighbourhood plan, it has been agreed to review the membership of the steering group. 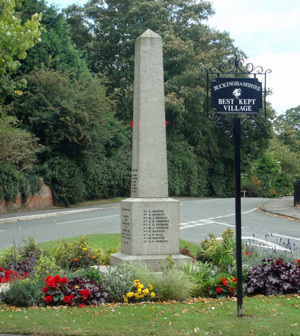 As the plan has now progressed to more consultation and examination future membership of the group is proposed to be: Jenny Wodey, Margaret Burgess, Gill Morgan, Andrew Pryke, Paul Smith (all parish councillors), Janette Eustace, Steve Nicholl and Neil Dickens (chair). Contributions made by previous members are appreciated and they are thanked for all their hard work.